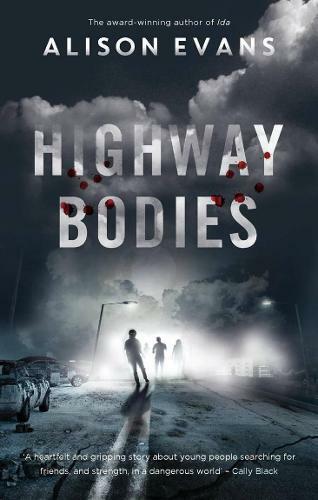 Alison Evans’ unique zombie apocalypse YA novel Highway Bodies has topped our children’s and YA bestsellers. Launched at our Carlton store last week, this survival adventure crossed with found-family story features a range of queer and gender non-conforming teens who have lost their support networks and must rely upon each other. YA phenomenon Angie Thomas has two titles in the top 10: the new release On the Come Up, which follows 16-year-old aspiring rapper Brianna as she navigates high school, first love and the world of hip-hop music, as well as Thomas' debut The Hate U Give. Readings Kids manager Angela Crocombe describes the former as ‘quite simply, a must-read’ for teens aged 13 and up. It’s great to see local support for local picture books, with three spots in our top 10 going to pictorial works created by Australians: The House on the Mountain, which explores a common Australian fear: the deadly rage and devastating aftermath of bushfires; the uplifting All the Ways to be Smart; and Sophie Beer’s joyful celebration of love in all its forms, Love Makes a Family. Other bestsellers this week include books by Dog Man creator Dav Pilkey and YA author Karen McManus, as well as Little People, Big Dreams: Stephen Hawking, one of two new titles – the other being Muhammad Ali – to celebrate noteworthy men in the popular series.